Limitless is one of the largest yachts on the world. She was built by Lürssen. Lürssen is a German shipbuilding company. 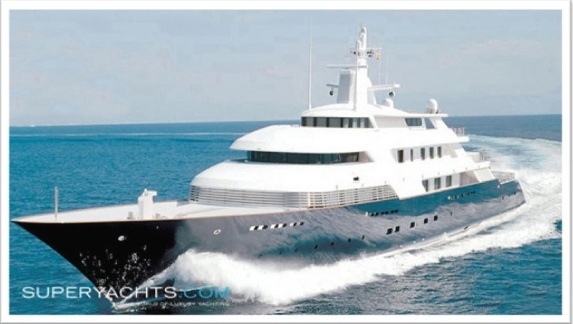 The beautiful design of Limitless was created by Jon Bannenberg, an australian yacht designer. The overall length of this beauty is 96,25 m (315 ft 8 in), the width 12,50 m (41 ft). It has two engines. This was the first yacht, that used diesel and diesel-electric propulsion. By the hard work of these engines, Limitless can reach the speed of 25 knots (46 km/h). Limitless is owned by Les Wexner, the chairman and CEO of L Brands Corporation.